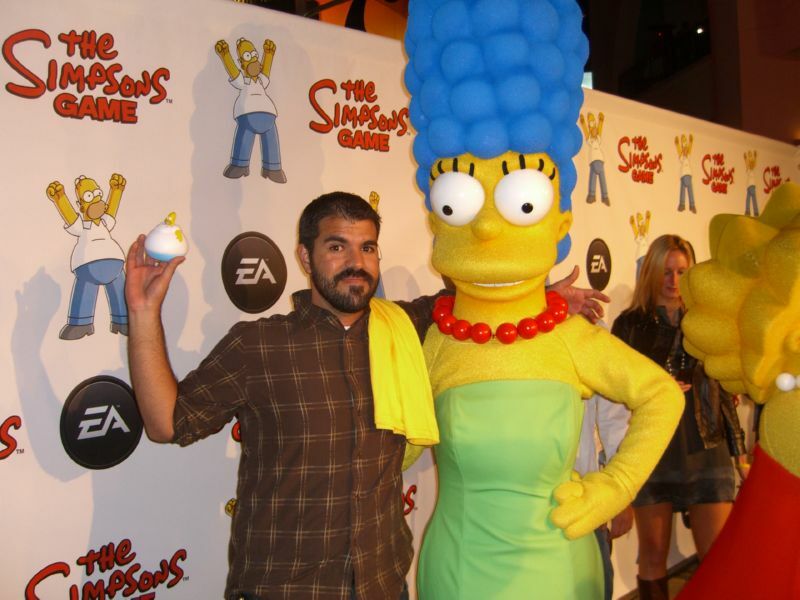 In the video below, Matt Groening, James Brooks, Matt Selman, Denise Sirkot, and other longtime Simpsons contributors give a speech at the release party for The Simpsons Game on October 30, 2007. Fun fact: I was there! Along with Jeremy, who recorded this video, Jeff, and Kiyosuki (can't remember your non-board name, sorry!) 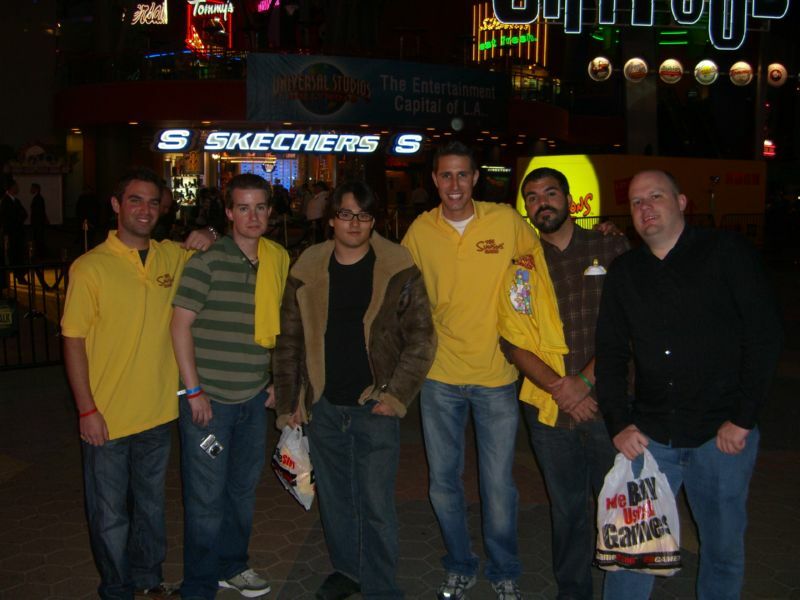 We were all invited by EA to fly down to LA for the party. 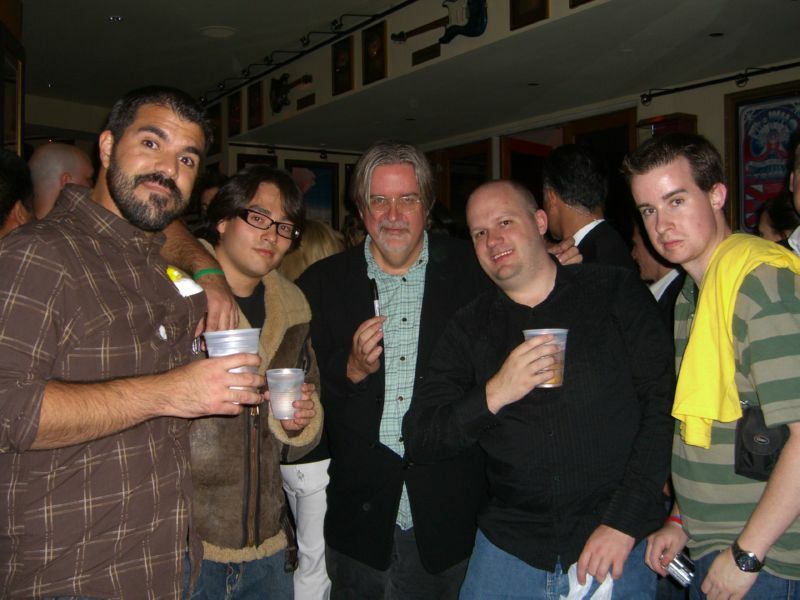 Here's us after drunkenly stumbling up to Matt Groening to ask for a photo. And a few more pictures. Thanks to Jeff for actually remembering to bring along a camera! Here I am in the 'awkward photo with a booth girl' pose. With Dom and Alex from EA marketing, the folks who flew us in for the event. Thanks again, guys!